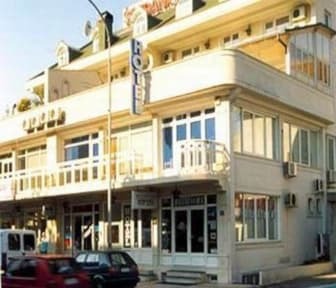 Hotel Bojatours i Podgorica, Montenegro: Reservér nu! 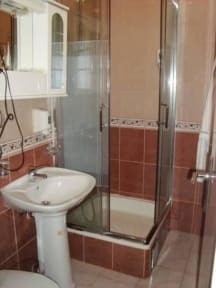 Hotel disposes of 20 rooms, where 11 are with matrimonial bed, 6 double-bedded, 2 single, and one luxurious apartment (containing three rooms with matrimonial bed, living room, kitchen, dining room, two terraces, bathroom with jacuzzi and mini toilette). All rooms are covered with central heating, air-conditioner, TV, satellite antenna, telephone, mini bar, and computer with free access to Internet 24 hour. Within the Hotel, there is fitness center (aerobic, sauna and gym) free for hotel guests. Hotel has its restaurant where breakfast is served on, there is also Tourist agency, selling domestic and international airplane tickets, and rent-a-car service.